Tressa is using Smore newsletters to spread the word online. 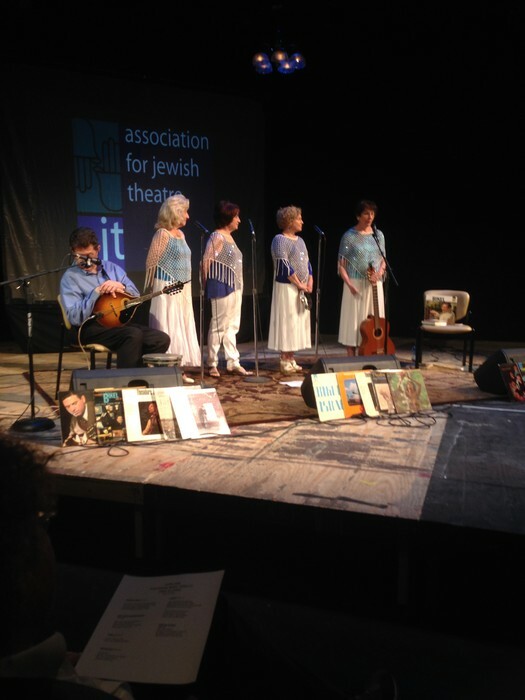 First, it was wonderful to see so many new faces and of course familiar faces at our AJT Conference in St Louis, wonderfully hosted by Kathleen Sitzer of the New Jewish Theatre at their beautiful and welcoming JCC. For those who missed it, please know that you were certainly there in spirit. 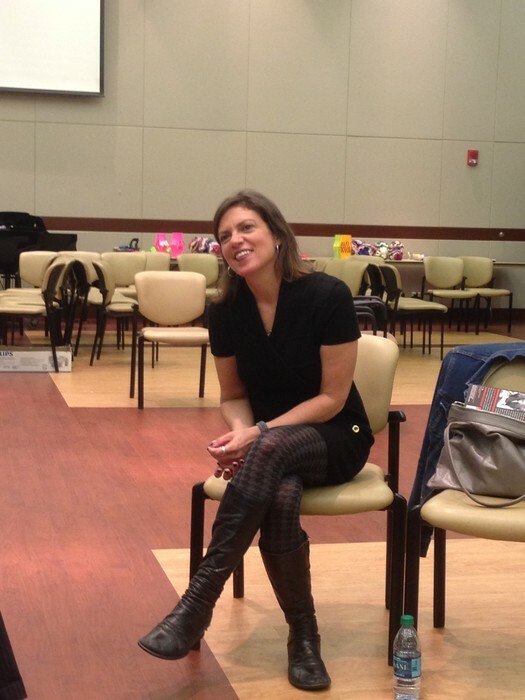 Principal thanks again to Kathleen and to David Chack, and Eli Taylor for helping make this such an uplifting event. As a member of the board I watched as they put a lot of hard work into making this an amazing conference! 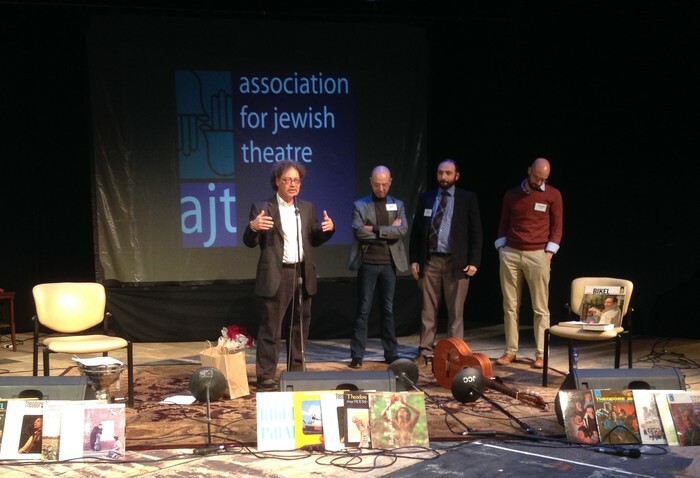 The Association for Jewish Theatre has a new board and staff! In the words of Israel Horovitz the playwright, who addressed our 2009 AJT Conference in New York, "Today I am a fountain pen." He was of course humorously referring to the bar mitzvah boy who prepares for his sacred obligation, but only for all the presents he'll get. But for me the gift I have is working for you as your new Executive Director. I don't say this lightly. I know what a responsibility this is. Active Jewish culture is at an all time high when you look at the online wealth of material through Jewish journals, blogs, music, dance, comedy, film, and performance. Jewish theatre and narrative Jewish performances are also in abundance. I sit on a couple of Jewish arts boards and see what is being produced by so many creative people. I was fortunate to be on Governor's Island and to lead a workshop for Art Kibbutz in New York City last summer, working with talented artists and burgeoning theatremakers. I am also on the advisory board of the Holocaust Theatre Catalog of the National Jewish Theater Foundation and from these alliances and more -- both within AJT and outside, from Jewish and in the general arts world -- I see tremendous opportunity. A vacuum now exists for a cohesive landscape with ongoing collaborations, visionary thinking and strategic alliances. No one is filling that void. So we are ready NOW to move to that new level. We are ready to bring together all that is out there. 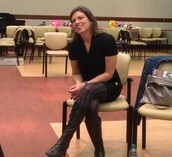 We are ready to shape the Jewish arts scene with our friends and allies like it has never been shaped before! RSVP and send your contact info to etaylor@afjt.com (Eli Taylor). We will arrange a place to go for drinks and hors d'oeuvres afterwards. There will be a charge to be determined. So RSVP your intention to go. PEOPLE COMING TO THE AJT POP-UP IN NEW YORK CITY CAN USE THE CODE - AJT - ON THE MUSEUM'S WEBSITE OR AT THE DOOR AND GET THE DISCOUNT $15 MEMBERSHIP RATE FOR THE PRESENTATION AT THE MUSEUM OF THE CITY OF NEW YORK. Event: Join David Y. Chack, Professor at The Theatre School at DePaul University and Executive Director of the Association for Jewish Theatre as he facilitates a discussion about how being Jewish leads to "performing Jewish" and the ways that performers still connect to traditions built on the Lower East Side more than a century ago. Jackie Hoffman, Actor in Kissing Jessica Stein and Once Upon a Mattress; Michelle Slonim, Stand-up comedian; star of the meta-comic show Date Me! A celebratory event was held with a gala dinner to remember the iconic performer Theodore Bikel, who was such an important inspiration to us all and an AJT Honorary Board Member. Afterwards, the conference attendees and joined with a general audience to see a film and concert in Theo’s memory. The awards went to AJT Members Aaron Henne, Jon Adam Ross, and Yoni Oppenheim. Each recently received significant recognition as young, emerging Jewish theatremakers and leaders in Jewish culture – Aaron winning a Wexner Fellowship, Jon winning a Covenant Grant, and Yoni being recognized as one of the 36 to watch under 36.